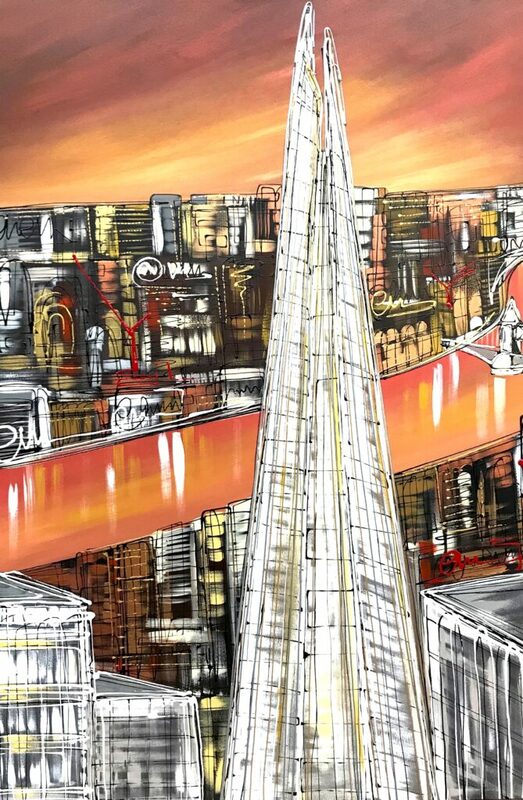 Shard Sunset Views by Edward Waite is a framed original painting in the artist’s new ‘Merging Concepts’ style. 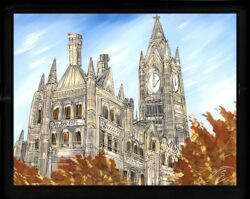 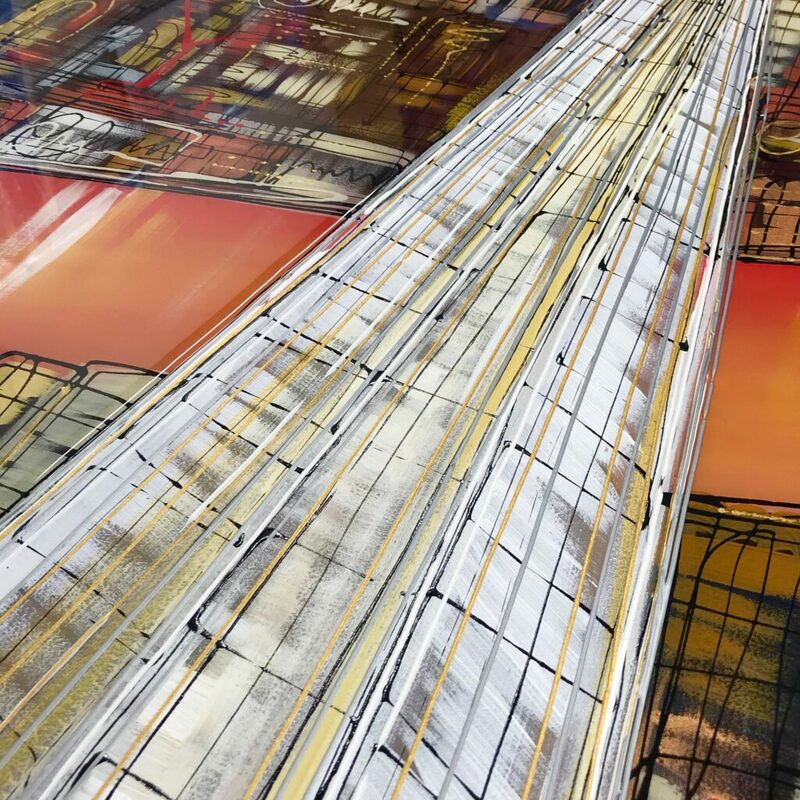 The mixed media process involves Edward’s two signature techniques – layered resin layers and 3D Acrylic Piping achieving an almost ‘interactive’ effect. 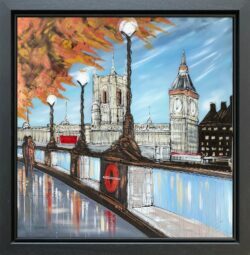 Meet Edward Waite on Saturday 13th April 2019 from 1pm until 3pm here at CLK Art. For more on our Edward Waite Exhibition, Appearance and Painting Demonstration click here. 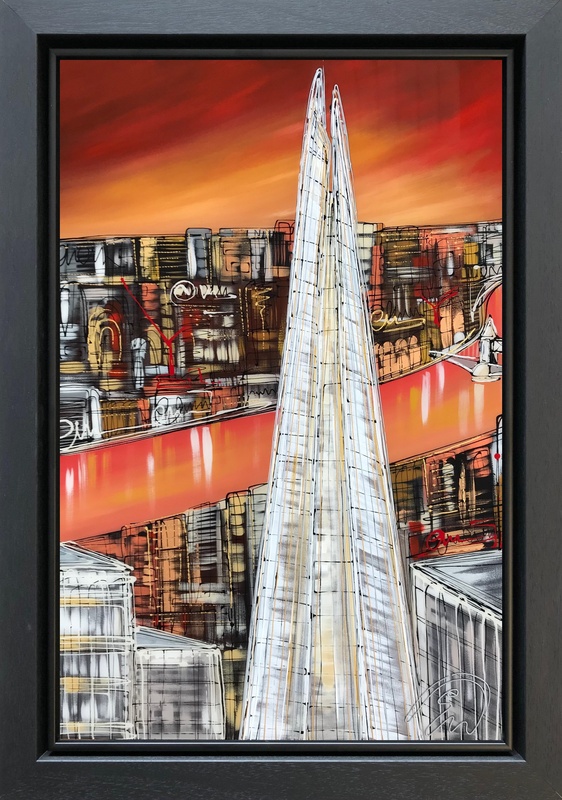 Shard Sunset Views is an original painting by Edward Waite – one of the UK’s most celebrated cityscape artists in today’s contemporary art scene.